SAN Simon Mayor Leonora Wong on Friday, January 25, called on owners of warehouses to be vigilant of the activities of their tenants following the Bureau of Customs’ (BOC) discovery of undocumented cigarette-making machines. The BOC recently seized eight imported cigarette-making machines worth P200 million in San Simon Industrial Park and Global Aseana Business Park that were believed to be used in the manufacture of counterfeit cigarettes. Wong said the local government regularly conducts inspection of businesses in the town, but their authority is limited to ocular visits during renewal of business permits unless a complaint is filed against investors. “On the part of the local government, we regularly conduct ocular inspection but these are warehouses. We cannot just barge inside and do searching without securing proper documents,” she said. “That is why I am calling out the owners of business parks here to be more strict in the monitoring of their tenants, and immediately report to the local government or police if they notice any dubious activities,” she added. 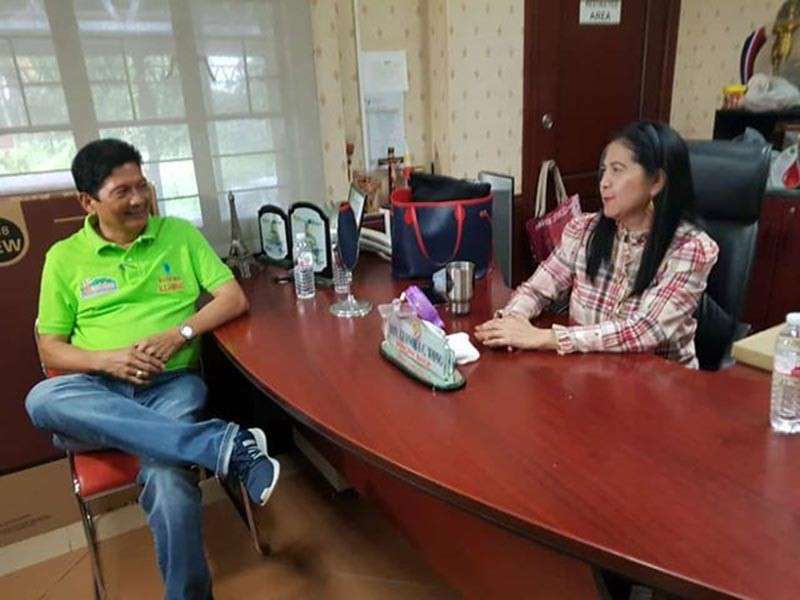 Wong, who is seeking the vice-mayoralty post in the May midterm elections, also disclosed her plans to advance an ordinance requiring visual inspection of delivery trucks entering the town. Currently, Wong said the local government is limited to collecting hauling fees from container trucks that pass by the area, but it does not have the mandate to check on the contents. “As of now, we do not have an ordinance that requires container and delivery trucks to open their containers. And with the number of warehouses we have in the town, we really need to pass such an ordinance,” she said. But even without the ordinance yet, Wong assured Simonians that the local government and police will continue to coordinate with concerned national government agencies to address all illegal activities transpiring in the town. “I will not allow San Simon to become a venue of illegal activities. Never in San Simon because we will go after you, whoever you are and whatever your position is,” the lady mayor warned.